A senior US official rejected Monday an EU proposal to create an international investment court that was aimed at resolving one of the disputes holding up their free trade deal. The EU’s trade commissioner Cecilia Malmström last week proposed creating an investment court to allay concerns among Europeans that the ISDS arbitration panel forseen in the deal would effectively allow companies to bypass national courts if they feel their investments are under threat. However US Undersecretary for International Trade at the Commerce Department, Stefan Selig, noted Monday that some so-called Investor-State Dispute Settlement mechanisms already exist in international trade agreements and had not resulted in a loss of sovereignty for countries. “The criticisms that they undermine governments’ right to regulate, I think are just misguided,” Selig said during a visit to Paris when asked about Malmström’s proposals. Malmstroem’s proposals included making the ISDS arbitration tribunals more like traditional courts, with a view to eventually setting up a permanent international investment court. Diplomatic sources told EURACTIV France that the US position is not surprising as the country has always profited from the ISDS system. “France is working on a proposal to reform ISDS which we will unveil soon and send to the European Commission,” the source continued. France has pushed for a thorough reform of the system in the past, advocating for the establishment of an international court. The EU-US are unlikely to meet a year-end deadline to wrap up talks on their free trade deal, which is called the Transatlantic Trade and Investment Partnership. If concluded, TTIP would be the world’s biggest trade deal, linking about 60 percent of the world’s economic output in a colossal market of 850 million consumers, creating a free-trade corridor from Hawaii to Lithuania. ISDS is the wrong format for TTIP. What Malstrom needs to undertake is study Gatt/WTO trade dispute settlement mechanism and its procedural process for arbitration. Under WTO rules the final dispute settlement verdict was ruled as final (i.e. not subject to appeal); although subsequently the appeal process was allowed under WTO statute’s. 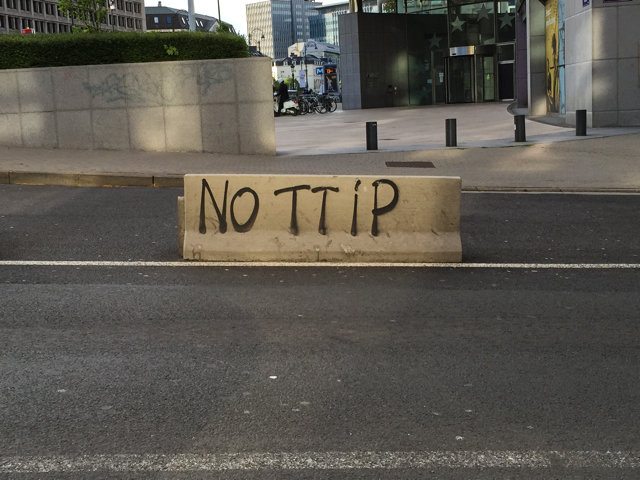 No one needs an enforcement section in TTIP. The US overplays its cards on ISDS and invokes the impression ISDS was not mutually benefical. You’ve got to love the way US trade negotiators are shooting themselves in the foot over TTIP. The proposed court was a bad idea but it was a way to try and get an agreement. Now they insist they need international private arbitration for their big companies? Why? If the EU is such an unstable, dodgy, tin-pot, region to do business in why are so many US companies already here? The EU has a rule of law that is second to none where litigants can seek redress in case of legitimate breaches. In much the same way that European companies feel confident they’ll get a fair hearing in a US court and simply do not understand the need for the ISDS.